Making desserts from scratch can be extremely satisfying and tasty. Who wouldn't want a homemade birthday cake, apple pie or chocolate chip cookies? But why not try something different next time you have the urge to bake something, like ice cream. Here are 2 easy to follow recipes on how to make ice cream without an ice cream maker. First, dump the cream in a mixing bowl and whip it until it becomes stiff and peaks. 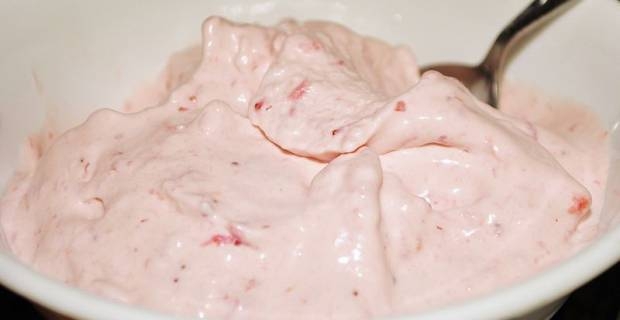 Add various flavors or toppings that you want in the ice cream to the condensed milk a large bowl. Gently fold in the whipped cream to the milk and toppings bowl. Once that is finished, put in a freezer friendly container and wait. Once it is done you should have creamy delicious ice cream waiting for you! First, in a large bowl whisk the egg yolks, sugar, vanilla, and salt for about 5 minutes or until it becomes a pale yellow colour. In a separate medium saucepan, heat the evaporated milk and let it simmer for a few minutes, then add it into the egg mixture whisking it all together. Put everything back into the saucepan to a low-medium temperature and whisk the ingredients until there is a thick consistency. Make sure to not overheat the ingredients. Once it is the correct consistency, let it chill. In a separate bowl, whip the cream until it doubles in volume. Add the cooled egg mixture and fold in together. After it is combined, put the mixture into empty ice cube trays and freeze. Once they are frozen, add the cubes and the remaining heavy cream together and put them in a food processor and process until it is smooth. Put the mixture in a freezing container and let it freeze for at least 4 hours before consuming. These are just a few recipes on how to make ice cream without an ice cream maker. Try them out, adjust them as you need and enjoy the delciousness of your homemade ice cream. This can be a fun way to get children interested in the desserts that they eat and how it is made, so enjoy a bit of family time while doing this!